On September 5, two paramilitary men shot Obillo Bay-ao, a 19-year old Manobo youth from Talaingod town, Davao del Norte. He was a Grade 6 student of the Salugpongan Ta’Tanu Igkanugon Community Learning Center (STTICLC), an alternative school FOR Lumad children in Talaingod. He was rushed to the hospital but died that same night. 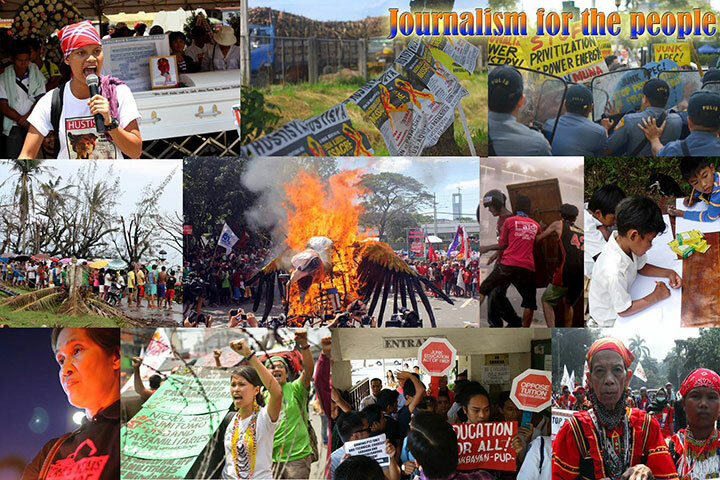 Bay-ao was the latest victim of extrajudicial killings perpetrated against indigenous peoples all over the country. The Lumad, in particular, have in recent years experienced a severe government crackdown that has threatened the education of thousands of Lumad children. President Rodrigo Duterte, who also hails from Mindanao, has publicly criticized the killings of the Lumad when he was still mayor of Davao City. during his inaugural speech in 2016, he promised to initiate a peace process that could ease back the militarization of indigenous communities. 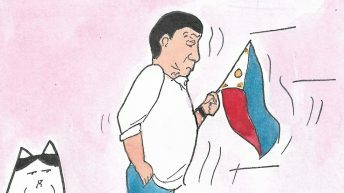 But just one year after his inauguration, the supposedly sympathetic Duterte has already turned his back on his promises. There are over 11 million indigenous peoples in the Philippines, which translates to at least 11 % of the population of the country, according to the National Commission on indigenous peoples (NCIP). Almost 60% of them live in Mindanao and are collectively known as Lumad. They are composed of 18 tribes which include the Manobo, Mandaya, B’laan and Subanen peoples. The Philippines is a country rich in mineral resources, estimate in 2015 to be about $1 trillion worth of untapped mineral reserves in Mindanao alone. Most of these can be found within Lumad ancestral lands. Previous administrations have made extraction of these minerals a national priority, with the enactment of the Mining Act of 1995, and President Benigno Aquino III issuing Executive Order 79 (EO 79) in 2012. The Mining Act allowed for large-scale foreign investments in the mining sector, while EO 79 gave the national government a final say in approving applications for mining permits. The Liguasan Marsh, which is part of the ancestral domain of the Moro peoples in Mindanao, holds a large reserve of natural gas worth hundreds of billions of dollars. Some of the largest dams in the Philippines have also been or are currently being constructed in the island as well, including the Pulangi V dam, which threatens to displace thousands of indigenous peoples from their ancestral lands and would destroy their means of livelihood and way of life. Despite these rich natural resources, many Lumad and other indigenous peoples in the Philippines remain mired in poverty. Violations against their rights are also commonplace. Indigenous peoples’ rights are supposedly protected by law through the Indigenous peoples’ Rights Act (IPRA) of 1997. The Philippines is also party to the United Nations Declaration on the Rights of Indigenous peoples (UNDRIP). Though the IPRA and the UNDRIP are supposed to ensure indigenous people’s right to self-determination and control over their ancestral lands, the fact is that they still suffer from exploitation, grave human rights abuses, and lack of access to basic social services, like health and education. The right to education is a globally-recognized fundamental right and is seen as a “multiplier” right, because it helps enable people to experience and fulfill other rights that they should enjoy as human beings. Education is also seen as means to break the cycle of poverty and better one’s condition. An educated populace benefits nations in general, as it leads to greater productivity, people making more informed choices, and more stable societies. In the Philippines, although the government allocation for primary and secondary education has been increasing since 2013, only seven out of 10 children who enroll in primary school will complete it, while only four out of these seven will finish secondary school. Many children have no access to education to begin with. According to Minority Rights Group, an international organization that focuses on securing the human rights of ethnic, national and gender minorities, the majority of out-of-school children in the world are indigenous. The Lumad and other indigenous peoples in the Philippines face many challenges on accessing education. Government officials usually do not take into consideration the specific needs and interests of indigenous peoples when formulating policies. Also, indigenous peoples are more often than not the last to receive basic social services from the government, severely limiting opportunities for indigenous children. Poverty is one of the main reasons why parents are discouraged from sending their children to school. In 2015, 26% of the country’s population lived below the poverty line, while 12% lived in abject poverty and have to survive with less than $1 per day. Indigenous peoples make up a large bulk of those living in poverty. Many parents have to divide what little money they have for food, health and education needs of the family, with food often taking priority in household spending. Indigenous children who do attend school, on the other hand, often have to endure walking many kilometers or crossing dangerous rivers and mountainous areas, exposing them to risks during travel. In addition, they often face deeply-entrenched discrimination in an education system that is not particularly responsive to the cultural needs and sensitivities of indigenous children, who are often treated as outsiders, outcasts, and second-class citizens. Because of these difficulties and continuing government neglect for the needs of Indigenous peoples, the Lumad turned to NGOs to ask for assistance so their children can get an education. Alcadev, one of the pioneers in providing education to indigenous children, was founded by Lumad organizations Kahugpungan sa mga Lumad sa Surigao del Sur (KALUNASS) and the Malahutayong Pakigbisog Alang sa Sumusunod (MAPASU) in 2004. Alcadev set up an alternative learning system to provide secondary education to Indigenous youth in the hinterlands of the Caraga region in northeast Mindanao, the southernmost major island in the Philippines. Alcadev provided “education relevant to their (Lumad’s) needs” and taught the children to use the education they received to help their tribes and communities. Since its founding, Alcadev’s students have achieved almost 100% passing rate for government equivalency exams that would pave the way for them to attend college. 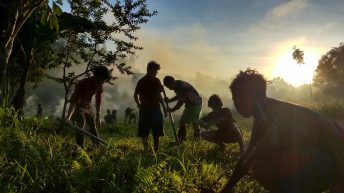 The Center for Lumad Advocacy and Services (CLANS) started out as a non-government organization that partnered with the B’laan people in implementing a sustainable agriculture program for residents of Malapatan town, Saranggani in 2007. CLANS staff learned through their immersion in the community that the B’laans of the village did not know how to read or write. Community leaders then asked assistance from CLANS staff in providing education to the B’laan children, and by early 2008, CLANS was already training two community educators to teach literacy and numeracy to the Lumad. In cooperation with the Kahugpongan sa mga Lumad sa Halayong-Habagatang Mindanao (KALUHHAMIN), a Lumad organization that helps in identifying communities that need schools and other services, CLANS now operates over 50 schools in Far Southern Mindanao. 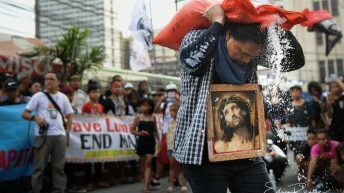 The Rural Missionaries of the Philippines-Northern Mindanao Region (RMP-NMR), a regional chapter of the faith-based organization RMP, has been involved in land rights advocacy since 1969. In 2010, RMP-NMR started its Literacy and Numeracy Program (LitNum) upon the request of several Higaonon and Manobo Lumad communities in the region, and by 2014 it was operating schools in 17 Indigenous communities serving over 500 Indigenous children. Another pioneer in providing education to Lumad children is the Mindanao Interfaith Services Foundation, Inc. (MISFI), which started holding literacy and numeracy classes for the Lumad in 1984. In 2007, with assistance from the European Union, MISFI built 20 community schools to provide alternative formal schooling for Indigenous children; today MISFI operates nine secondary schools and 22 primary schools for the Lumad in partnership with PASAKA, a Southern Mindanao-based Lumad organization. The creation of these culturally-sensitive schools tailor-fit for the needs of indigenous peoples have had a profound effect on the Lumad and their communities. And they are now getting the education they need for free. “My father and grandfather have always dreamed of getting my siblings and I a good education,” related Jomar, who is an 8th grade student in one of MISFI’s schools. His father and grandfather are both datu (tribal chieftain) of the Ata-Manobo tribe from Capalong, Davao del Norte and Jomar’s sister and brother are also MISFI students. “When MISFI opened classes, I was one of the first students even though I was older than my classmates. I really wanted to learn,” he added. And it’s not only children who benefited from education; the Lumad schools have held literacy and numeracy classes for adults, as well. Jomar’s adoptive mother and other members of his clan were also students of these classes. “Amay (Mother) and I would read together at night so she could learn, too. She was so proud when she graduated from her class,” remembers Jomar. And the schools have provided not just education to the Lumad, they also taught livelihood skills as well as sustainable agriculture practices and organic farming that helped ensure food security for indigenous communities. However, as time went by, community members saw the benefits of these subjects for their community. For example, instead of the traditional slash-and-burn farming methods, they started gradually using sustainable and organic methods. Increased production has also resulted from implementing sustainable agriculture practices. 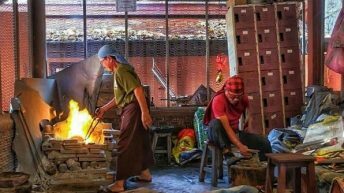 Han-ayan residents have so far increased production ranging from 38% in 2007 to 88% in 2013, according to one Alcadev document. But the most important effect of these schools on the Lumad is far greater than simply increased production or learning to read and write. “Before, the Lumad did not know how to read and write. That is the reason why we persevere to have a school because we do not want anyone to step on us because we are illiterate,” she added. Despite all the benefits gained by the Lumad from having indigenous schools in their communities, Lumad schools have for several years faced attacks from the military and paramilitary groups. On December 13, 2013, the Department of Education (DepEd) issued Memorandum 221, which was based on the Letter Directive 25 of the Armed Forces of the Philippines (AFP). The memo virtually allowed the use of schools by the military, said then Kabataan Partylist Rep.Terry Ridon. 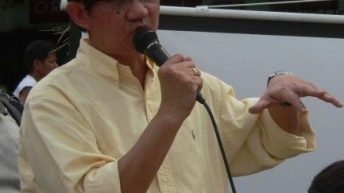 Although the memo supposedly prohibits the use of schools in purely military operations, it does allow the use of school grounds for “civil-military operations,” which Cristina Palabay of Philippine-based human rights group Karapatan said was just “double-talk” for use of schools for military purposes. Palabay was right on point. 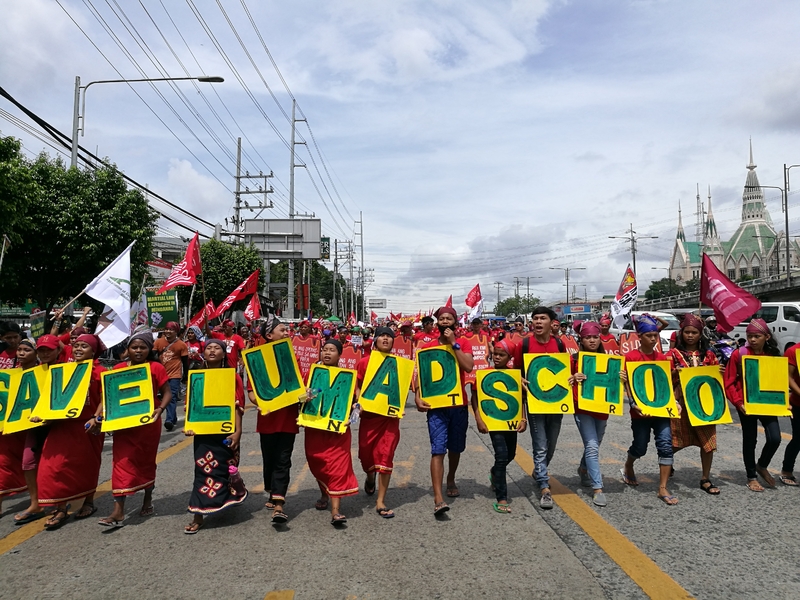 The Save Our Schools Network (SOS), an alliance of children’s and indigenous rights activists was formed in 2012 at the onset of attacks on Lumad schools under then-President Benigno Aquino’s term. 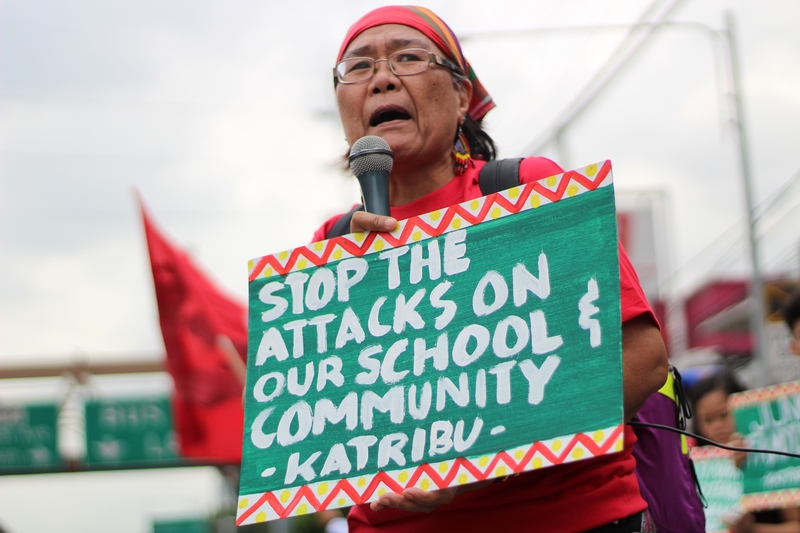 The group has recorded at least 214 attacks on Lumad schools in Mindanao alone between 2012 and 2014. Twenty other DepEd-run schools were also attacked or were used by the military as camps during military operations in the same period. Violations included military occupation and forced closure of schools, extrajudicial killings, vilification and red-tagging of NGOs and school staff, illegal arrests and detention. Some 1,800 Lumad were forced to flee their homes due to a series of killings, harassment and school-and-house burnings that happened in Lianga, Surigao del Sur on October 24, 2014. Henry Alameda, a chieftain from the Manobo tribe, had just finished eating when armed men barged into his home and dragged him outside his house, where he was shot in the head and the chest. At 4 PM of the same day, shots were fired at the house of Alejandro Dumaguit in San Lorenzo village of the same town. Dumaguit’s son died due to gunshot wounds while Dumaguit himself and his two other children were also wounded. Two school buildings run by the Tribal Filipino Program of Surigao del Sur (TRIFPSS) were also set on fire by suspected members of the military and the Bagani paramilitary group which has ties to the AFP. On March 11, 2015, soldiers encamped inside the buildings of two Lumad schools located in villages in the hinterlands of Talaingod, Davao del Norte. They entered residents’ homes without permission and branded several community members of being members of the NPA (New People’s Army), a charge the residents denied. The school, run by the Salupungan Learning Center, had to postpone student activities due to the military encampment of their buildings. On Aug. 30, 2015, military forces arrived at the village of Han-ayan in Lianga, Surigao del Sur and encamped on the school grounds run by Alcadev. Residents were roused by the military and members of the Magahat-Bagani paramilitary group and were herded to the village basketball court where they were told they would be killed if they did not leave the village in two days. Dionel Campos and Datu Juvello Sinzo were then shot by the Magahat-Bagani in front of the frightened residents. That same morning the body of Emerito Samarca, Alcadev director, was found inside the dormitory provided by Alcadev for its teachers with his throat slit. This triggered the evacuation of some 2,000 Lumad in the area. Just over one month later, on Nov. 12, 2015, armed men believed to be members of the military and the Magahat-Bagani paramilitary force also burned down another school building run by Alcadev in Sibagat, Surigao del Sur. In an unprecedented move in 2016, Duterte invited progressive leaders including Lumad and other indigenous rights activists for a meeting at the Malacanang Palace immediately after his inauguration as the country’s chief executive. Yet attacks on Lumad schools have continued under the present administration. Between July 2016 and July 2017, the SOS Network documented at least 68 attacks that affected 89 Lumad schools and over 2,500 Indigenous children. Ironically, 80% of the attacks happened in the southern Mindanao area which is Duterte’s home region. In October 2016, local police of Palimbang, Sultan Kudarat started hanging streamers around town that labeled CLANS as the “entry-point of deception of the NPA” and that the schools were “fake and illegitimate.” Residents in a village were gathered in a meeting and municipal officials repeated the allegations against CLANS. Municipal officials also started distributing fliers to town residents promising a PhP5,000 reward for anyone who can produce pictures of CLANS staff. The said NGO had to suspend classes for 20 schools due to the vilification campaign, which was allegedly spearheaded by the town mayor in partnership with local police and military authorities. On July 6 this year, residents of Han-ayan had to again flee their community when soldiers were sighted near the village. Residents reported hearing military helicopters circling the community, fueling fears of a repeat of the 2015 grisly killings. Over 2,000 Lumad fled Han-ayan, including teachers and students. More than 700 Lumad students were affected. The residents had barely rehabilitated their communities after returning from a one-year evacuation in September 2016. In December 2015, charges of trafficking and child abuse were filed against teachers from Alcadev and parents from MAPASU. The complainant, a Lumad woman, alleged that Alcadev’s staff were allowing the students of Alcadev to be trained as NPA members. Human rights activists believe the complaint was instigated by military officials given that the complainant was the common-law wife of a soldier who was at that time deployed in the area. Most recently, in September 2017, military officials filed charges of murder and frustrated murder against six volunteer teachers of CLANS supposedly in connection to the killing of a soldier and the wounding of nine others in Kalamansig, Sultan Kudarat. The six volunteer teachers and seven other people were accused by the military of being involved in the incident as NPA rebels or supporters, something that they and human rights groups have denied. Thirty-three schools run by CLANS have been forcibly closed down as a result. Despite promises of change and peace, it seems the present government is keen on continuing the policy of repression the Lumad have experienced from the past administrations. During a speech in June 2017, former military officer and now Magdalo partylist Rep. Ashley Acedillo said in 2015 that 70% of the NPA are from the Lumad, a claim that has been repeated by other government and military officials since then, with even Duterte expressing belief in the statement. Government and military officials point to Lumad schools as one of the reasons for this occurrence, alleging that the schools are breeding grounds for subversion and that these schools are actually being run by the CPP-NPA and are being used by the Maoists for recruitment. The NPA has been “using Lumad schools for indoctrinating, agitating and recruiting new cadres,” claimed AFP public affairs chief Col. Edgard Arevalo in a statement. 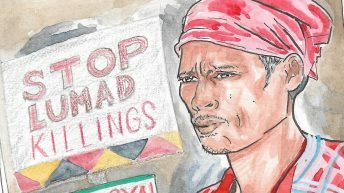 Duterte’s claims against Lumad schools, however, were denied by the National Democratic Front of the Philippines (NDFP), calling them “a big lie, deceitful and provokes further attacks against the Lumad peoples.” The NDFP is an umbrella organization that counts the CPP and the NPA among its members. Even the DepEd has belied Duterte’s statement, with a spokesperson stating that “there are no existing Lumad schools that are illegally operating” and that all Lumad schools were duly registered. Even more alarming are Duterte’s threats to bomb Lumad schools and communities. The militarization of Lumad communities has been going on for decades, mostly covertly and has been denied by the government and by military officials while government forces have largely escaped punishment for abuses. Duterte’s pronouncement, however, is the first time a Philippine president publicly threatened to bomb indigenous schools and communities. “Leave. I’m telling those in the Lumad schools now, get out. I’ll bomb you. I’ll include your structures,” announced Duterte in Filipino during a press conference. 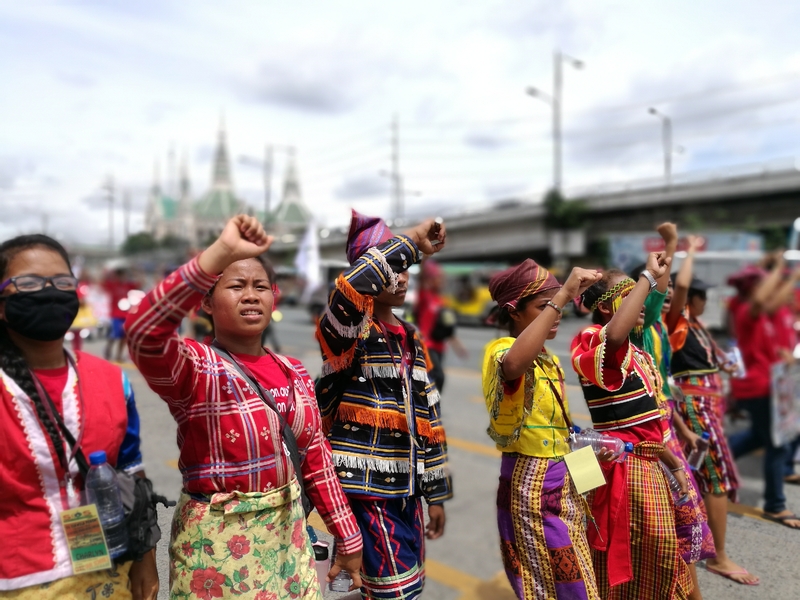 During Duterte’s second SONA, almost 200 Lumad, including some 50 students of Alcadev and other Lumad schools, joined the protest march to condemn the continued militarization of indigenous communities and attacks on Lumad schools. “We came here to demand justice,” said Dulphing Ogan, secretary-general of the Mindanao-wide Lumad alliance Kalumaran. “It looks like he has forgotten his promise to help us. We are here to remind him,” Ogan added. It seems Duterte has indeed forgotten, given his pronouncement regarding the bombing of Lumad schools. In fact, the government has canceled peace negotiations with the NDFP, which would have recognized the right to self-determination of indigenous peoples, as well as their right to establish their own schools. On Aug. 31 this year, 2,600 people from national minority groups arrived in Manila in what has become a yearly event dubbed the Lakbayan. This year’s series of activities focuses on demands that the government lift martial law that was declared in Mindanao on May 23. Duterte made the declaration after the terrorist group Dawlah Islamiya led by the Maute brothers launched an attack on the Moro-dominated Islamic city of Marawi in Mindanao. The declaration, however, has been met with resistance by indigenous and human rights groups. “Martial law will just give the military and the paramilitary groups under them a stronger license to pillage indigenous and Moro communities,” said Piya Malayao of Katribu, an alliance of indigenous peoples groups in the Philippines. Even the children who study in Lumad schools are against the declaration. “It’s not the NPA or the Maute group that’s getting bombed, it’s civilians,” said Dimlester Dumanglay, who is 13 and one of the Indigenous children studying in a Lumad school, in an interview with the major Philippine daily. He was referring to the bombings in Marawi that the government has launched in order to flush the Maute fighters out of the city. Dumanglay added that red-tagging of Lumad schools has gotten worse under Duterte, especially after martial law was declared. “They filed complaints against our teachers, accused them of trafficking and child abuse. Those aren’t true. Those complaints shouldn’t be continued, because our teachers only teach us the truth, how to read, write, and count,” he lamented. Though the presidential spokesperson has since clarified Duterte’s statement regarding bombing Lumad schools, and the military has stated that it would not bomb the schools, Duterte himself has remained silent on the issue and has not retracted his statement. And with that, Aba believes there is only one course the national minorities will take.